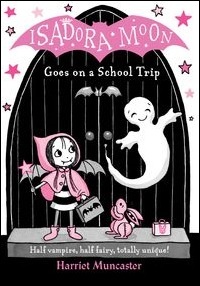 Isadora Moon is special because she’s different. Half vampire, half fairy, she’s totally unique! 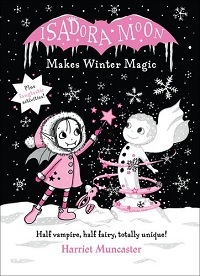 Her mum is a fairy and her dad is a vampire and she is a bit of both. 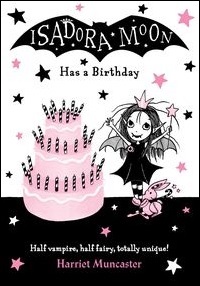 Isadora loves the night, bats, and her black tutu, but she also loves the sunshine, her magic wand, and Pink Rabbit. She is proud to be different, but with parents like hers, everyday activities don't always go to plan! 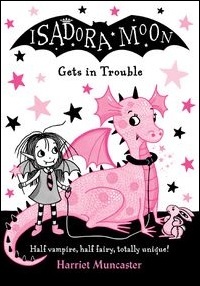 Harriet Muncaster’s beautiful and charmingly funny series of first chapter books is perfect for newly independent readers who want their magic and sparkle with a bit of bite! Isadora loves playing in the snow, especially when her creations come to life! But snow magic can't last forever. Will she be able to save her new friends before they melt away? This beautiful gift edition is also bursting with magical activities and things to make and do, providing hours of fun with Isadora and Pink Rabbit! 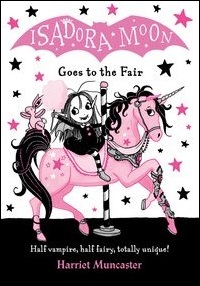 Isadora is excited for her first ever trip to the fun fair, but when she arrives it's not quite as magical as she expected. Luckily, her cousin Mirabelle has a plan to make the fairground rides extra special. What could possibly go wrong? Isadora’s class are going on a school trip to an old castle. The castle’s a little bit spooky and it doesn’t help that there’s thunder and lightning outside. While Isadora investigates the castle dungeon she discovers a surprising new friend. He’s a little different, like her, so Isadora’s going to have to try and find a way of introducing him to her friends without them getting too much of a shock. 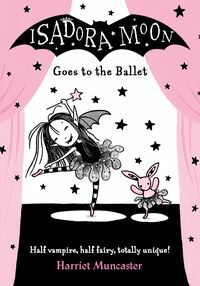 When her mum and dad come along on a school trip to the ballet, Isadora worries that they might not be like normal mums and dads. But she has even bigger problems when Pink Rabbit goes missing. Will she be able to find him before the curtain rises? 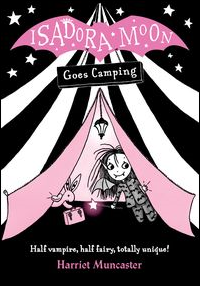 When Isadora and her family go camping at the seaside, some things happen that are not quite normal… From roasting marshmallows on a campfire to making friends with a mermaid - special things happen when Isadora's around! 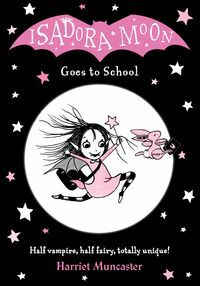 When it's time for Isadora to start school, she's not sure where she belongs - fairy school or vampire school? "This lively celebration of difference and mixed family heritage boasts appealing two-colour pictures – and a panegyric to the sparkling glamour of black tutus, rather than pink" - The Guardian.